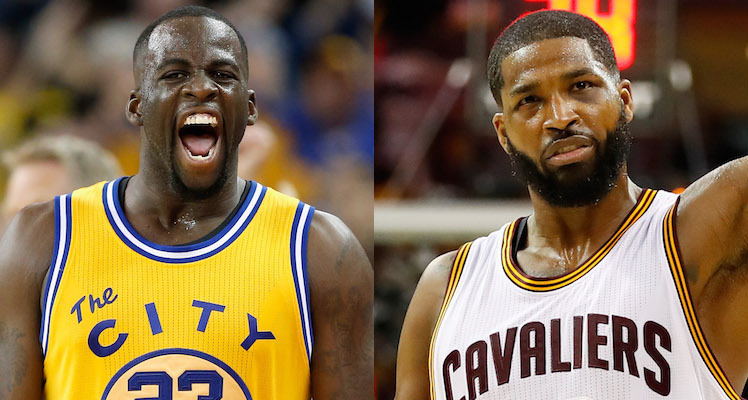 Earlier this week it was reported that Cleveland Cavaliers big man Tristan Thompson punched Golden State Warriors aggitator Draymond Green in the face at an ESPYs aferparty hosted by LeBron James. Naturally the internet ate the story up. Pretty much every NBA fan outside the Bay Area fantasizes about somebody punching Draymond Green in the face on a daily basis. Unfortunately, it turns out the altercation was not nearly as exciting as we all had hoped. On Wednesday Draymond took to Instagram to deny that he was punched and tell Cavaliers fans to “cancel that parade.” Now other people who were at the party have confirmed Draymond’s version of events. The folks at TMZ say they spoke with “multiple witnesses” who were inside the Delilah nightclub on July 18, when the altercation between Draymond and Tristan took place. Those witnesses say the two did have a heated confrontation. Tristan did made some sort of threatening gesture toward Draymond, and they were eventually separated by LeBron and Kevin Durant. However, the witnesses say it did not appear as though Tristan actually punched Draymond. And eventually they cooled off and talked things out. In fact, one person said they even saw Draymond and Tristan shake hands.